Well, hello you! This is becoming quite the habit. Two posts in the space of (just over) a week…who’d have thunk it.?? Anyway, this is where things get a little tricky, as some records came into my life now which I neither bought nor requested, but they were records which I clutched to my bosom, consumed, and then nearly 40 years later decided to share with you, you lucky people. I have family in the flag-kissing, gun-toting US of A, and I lived there when I was a kid. I don’t really remember anything about it, I was too young, but I’ve seen photos and slides of me trying to elope with Mickey Mouse when we visited Disneyworld, and of me with my head stuck in some railings at a local restaurant we apparently visited regularly called “The Big Banjo”, a joint where men in bowler hats, waist coats, stripy trousers and exotic moustaches twanged away in the background while Yankees stuffed their fat faces with treble quarter pounders followed by waffles and maple syrup and ice cream. As an appetiser. But I digress. I have family in America, and every now and then when I was growing up they would come over and visit, and on one such occasion my cousin Terri bought a bunch of 7″ singles with her. So, to the records. I can look at these now and see that they added to my growing hunger for different sounding stuff. Sure, I had the Quo, and The Police, and Shaky, but these added to my palate. It also occurs to me that three of these singles came out in 1979, the other in 1982. I can’t rule out the possibility that Terri hated the 1979 ones and was just looking for an opportunity to pass them off on someone….well, someone who was more inclined to run off with Mickey Mouse or get his head stuck in railings. 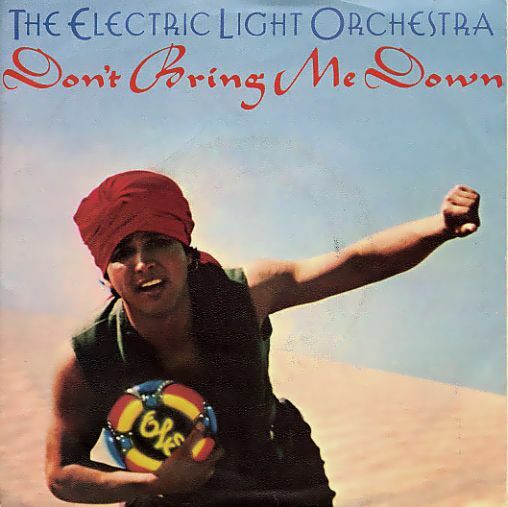 a) “Don’t Bring Me Down” – ELO Now these days, I bloody love a bit of ELO. Mr Blue Sky is a go-to classic feel good record in my book, and I have vague memories of it being on Top of the Pops, a video with some piss-poor special effects which I found amazing at the time and which I can’t seem to source now, so have this instead: Mr Blue Sky Kudos to the perms. Columbia was missing a midfield general the day this was shot. 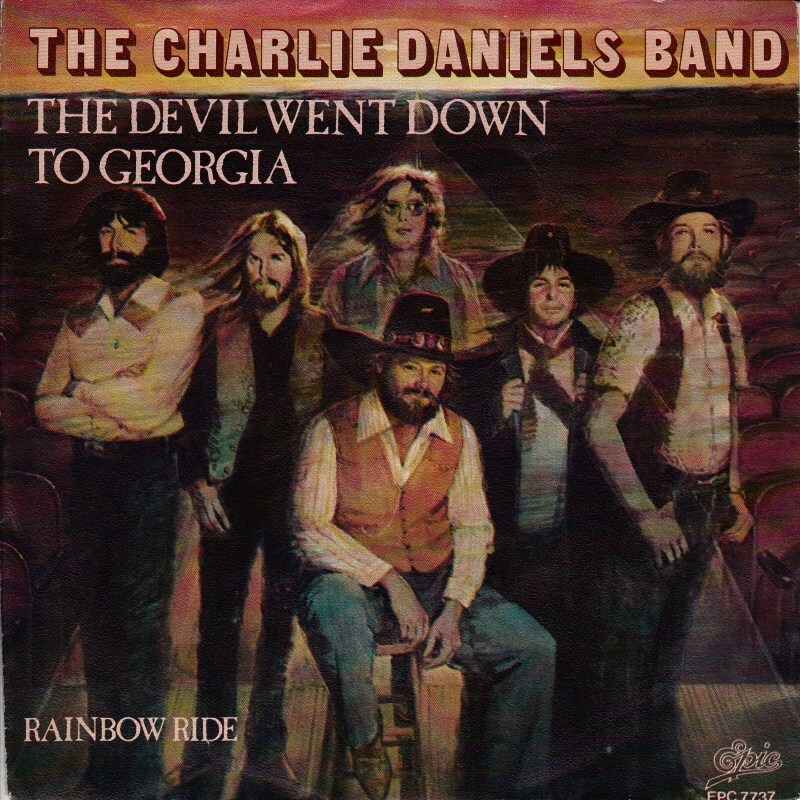 b) The Devil Went Down To Georgia – The Charlie Daniels Band I think this one hits the nerve as I was coerced into learning the violin when I was a kid, and the thought of being Johnny and defeating the Devil in a Deilverance/Duelling Banjos scenario (not that I’d seen the film at that point, mind) definitely appealed. 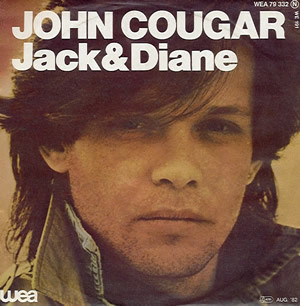 c) Jack and Diane – John “Cougar” Mellencamp I have three things to say about this record. 1) It is an incredible description of that age when you’re not quite adult, but too old to consider yourself a kid anymore 2) Diane sucking on a chilli dog was a formative image, and 3) The term “cougar” has really changed over the years, hasn’t it?